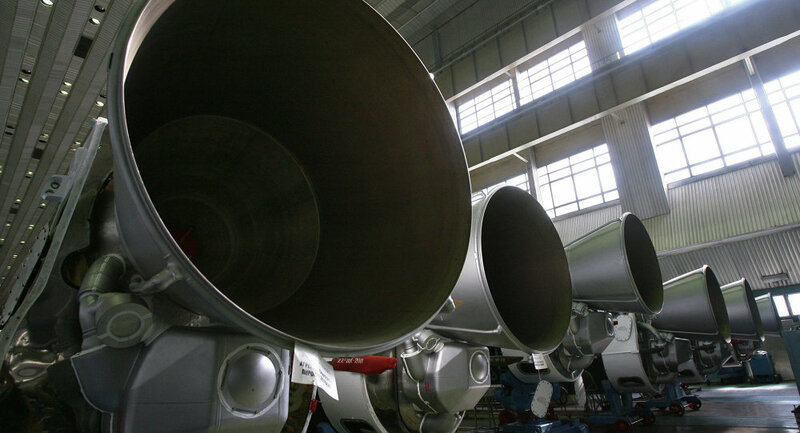 Russia is set to create world’s first rocket and missile engine manufacturing holding, which will bring together Russian manufacturers of engines for rockets and missiles. Russia’s United Rocket and Space Corporation (URSC) is drafting a proposal on creation a unique holding, which is set to unite several manufacturers of engines for rockets and missiles, Russia’s daily newspaper Izvestia reports on Tuesday. The exact structure of the holding and its head-enterprise are yet to be defined. “Yes, we are working on the creation of a rocket engine manufacturing holding as part of the URSC. The results of this work are to be submitted to the head of Russia’s Federal Space Agency Roscosmos, Igor Komarov, and URSC Director General Yuri Vlasos by June 1,” the newspaper quotes URSC Deputy Director general Igor Arbuzov as saying. The holding is likely to incorporate at least seven enterprises, which differ significantly from one another. Among those named are: NPO Energomash, which primarily develops and produces liquid propellant rocket engines; Keldysh Rocket Research Center; “Proton-Perm Motors” company, which also specializes in liquid propellant rocket engines, and others. A structural reform of Russia’s space industry was launched in 2010 which saw its numerous enterprises united into five or six large holdings. Under the reform, branches of the industry such as orbital spacecraft development, in-orbit operation, guidance systems, scientific research, testing and strategic rocketry, are set to have their own holdings. Since then, the newspaper says, the method of the reform has been slightly modified, but the major idea remains the same. For example, a new structure is being formed on the basis of Russia’s Space Systems, which will be in charge of all the aspects of production engineering.